Casualty star Clive Mantle found himself in a real-life accident and emergency department after a particularly horrifying stay in a Tyneside Travelodge. The actor’s ear was bitten off in an attack in the hotel. Mantle, who was appearing in a touring production of The Ladykillers in Newcastle, asked some guests in the hotel to keep the noise down and two of them allegedly attacked him in the hotel corridor. The actor was taken to the Royal Victoria Infirmary where surgeons reattached the top half of Mantle’s ear. The 55 year-old, who also appears in the hit American drama Game Of Thrones, was said to be "very badly shaken up". A spokesman for his agency said, "He sounds very wobbly. He is very shaken and shocked by what has happened. You don’t expect this kind of thing to happen in a hotel." 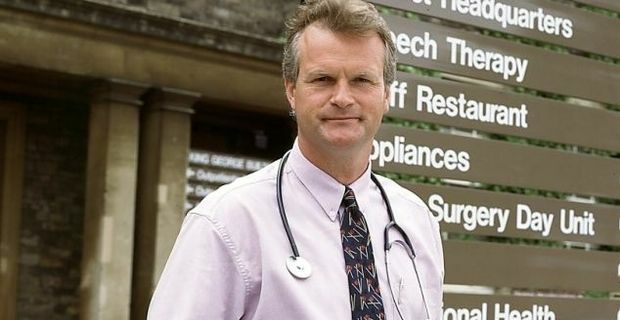 Mantle will see a specialist near his Oxfordshire home to determine whether the operation was a success. There was a time lapse before the ear was located so it is not certain whether the reattachment operation will take. Twitter comments expressed sympathy with the actor and shame for the reputation of Newcastle, although the man police have arrested was not a local. They have charged a 32 year-old from Hamilton in Scotland. He will appear before magistrates charged with wounding with intent. Another man arrested at the hotel was later released on bail. Given the appalling nature of the attack, the tabloids were relatively restrained in their use of language, although The Sun did feel it was important to mention that the actor was a cast member of the long-forgotten radio comedy series called In One Ear. The incident is terrible publicity for the hotel chain. It’s unlikely that Mantle will be opting for a Travelodge next time he makes a hotel booking.